Tuesdays & Thursdays, 11:00-noon and by appointment. 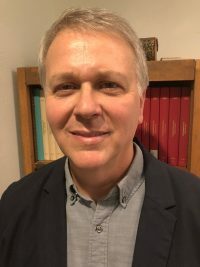 Dr. Summers’s research interests include Reformation (especially the Reformed/Calvinist movement), Neo-Latin; Roman religion, Lucretius, and Cicero. Currently General Editor for the Peter Martyr Vermigli Loci communes translation project. 1. Morality after Calvin: Theodore Beza’s Christian Censor and Reformed Ethics (Oxford University Press, 2016); for more info, go here. For a review in Themelios, go here. 2. “Reformation Humanism: Reading the Classics in the New Theology,” Reformation and Renaissance Review, 2018. To view the article and download the PDF, go here. 3. “Philippians 1:21-22: Revisiting John Calvin’s Innovative Interpretation,” in Calvin Theological Journal 53.1 (2018): 129–153. To view the article, go here.